If you liked Crucial Conversations you’ll love this book. Tags: Communication, management, leadership, working well with others. You lead a team (you need to read this book). Your team has communication challenges (you really need to read this book). I believe you’ve all read the first two. I’d recommend checking out the third if you haven’t already. You may be worried about earning their respect, and that’s natural. Unfortunately, though, being overly focused on respect can backfire because it’ll make you feel extra defensive when criticized. If, on the other hand, you can listen to the criticism and react well to it, both trust and respect will follow. That said, I don’t want you to think it’s a bunch of touchy-feely nice thoughts or quick, superficial fixes to problems that have deeper roots. This book is very easy to read, but it goes deep and strikes at the heart of communication problems. It makes what is one of the most complicated and thorny of issues–human communication, accessible. If you can’t communicate effectively with an individual, you can’t effectively communicate with a large audience. 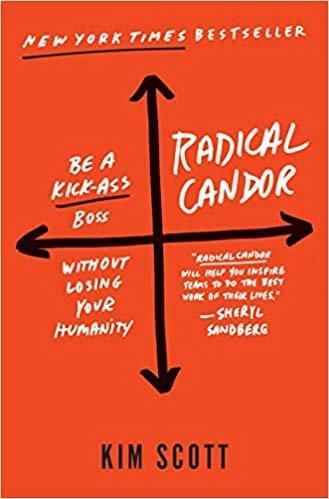 If you want to be influential, dive in, read this book, and learn how to say what needs to be said, whether it’s working one-on-one, or with the crowd.